Welcome to the world’s deadliest tourist destination! About 3,400 international students, visitors, workers… have lost their lives and 18,000 others seriously injured in New Zealand since 2000. Our statistical model, using multiple samples, shows that about 3,400 foreign students, visitors, workers and new immigrants have lost their lives and 18,000 others seriously injured in New Zealand since January 2000. Based on extensive research, the blog moderators believe that more foreigners have died in this country than in the rest of the world (ROW) combined (non-military operations), making New Zealand the deadliest destination for foreign visitors. The 500 or foreigners who are missing in New Zealand without a trace, are not included in the above stats. Iraq Coalition Military Fatalities between 2003 and 2015 stands at 4,811. 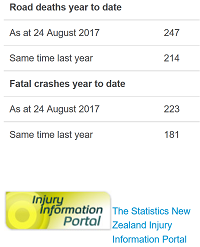 Starting December 2011, NZ government has again intensified the censorship of information concerning the numbers of international students and foreign visitors killed in New Zealand to protect the tourist industry (cash cow). For every tourist killed in New Zealand at least FIVE others are seriously/critically injured. 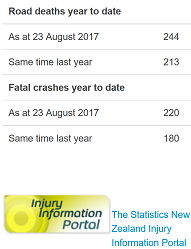 Names of the victims who are critically injured, for example as a result of road crash, and die later, either on the way to hospital, or while waiting for emergency treatment, remain as State Secrets. On Tuesday, 22 February 2011 at 12:51pm local time a magnitude 6.3 earthquake struck Canterbury Region in New Zealand’s South Island. The shock was centered about 10 kilometres (6 mi) south-east of the centre of Christchurch, New Zealand’s third-most populous city, causing widespread damage across the city and killing at least 185 people, about a half of whom were international students from at least 16 countries. The New Zealand region is about to experience significant climatological events and large-scale geological and tectonic activity. Would be visitors are advised to stay out of the area for the foreseeable future. SCIENCE IS DEAD IN NEW ZEALAND! WHY HAVE SCIENTISTS STOPPED LEARNING? 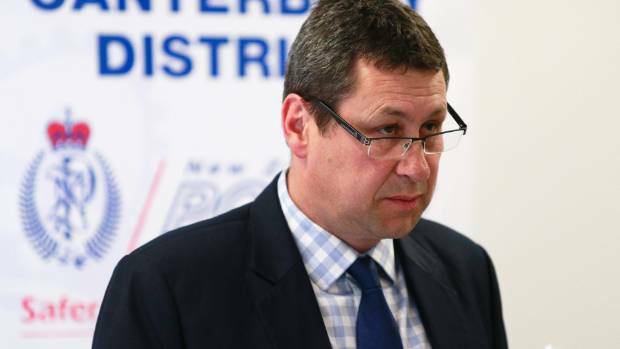 The Government and its Royal Society of New Zealand have released a “scientific paper” at a briefing in Wellington, concerning future earthquake risks for Christchurch and New Zealand, a report said. “Nobody can predict when an earthquake will strike, the Prime Minister’s chief science adviser says,” according to the report. THE BIG WHITE FACT IN THE ROOM remains that FIRE-EARTH Blog has successfully forecast earthquakes including those in New Zealand Region, Japan Region and elsewhere. AND the forecasts have been posted on this blog for everyone to see. “The Government and the Royal Society of New Zealand today released a scientific paper at a briefing in Wellington, looking at earthquake predictions and future earthquake risks for Christchurch and New Zealand.” Report said. “Scientists could identify regions vulnerable to quakes and predict the likely magnitude of a quake but not the precise locality, depth or timing, he said.” The report added. “Certainty as to a particular event or outcome just cannot be achieved. What therefore may happen, can only be described in terms of risks and probability.” Gluckman said. “Scientifically there’s no reason not to rebuild in Christchurch,” he said. Scientifically there’s “no reason not” to build a house of cards, or a castle in the sand … but you don’t authoritatively influence people to occupy them, or invite thousands of visitors and their uncles to come along, too, FIRE-EARTH contends. What sort of science is that which mandates an allegedly democratic regime to condemn hundreds of thousands of people by locking them in an area where two significant earthquakes have struck within five months, killing or injuring thousands of people, destroying many homes and much of the infrastructure? “GNS Science chief executive Alex Malahoff and Royal Society of New Zealand vice-president Keith Hunter were also on the panel.” The report said. Scientists who turn politicians, or those who fail to help people staying alive shouldn’t receive any money from the public purse! Why did YOUR govt bury earthquake warnings which were meant to alert people, especially foreign tourists/students visiting New Zealand? Truth is the bottom line, income from tourism, is more important to your government than human lives. REALLY? Are you a multimillionaire like your PM John Key? Your PM is a greedy individual who has amassed a massive fortune, albeit from “immoral activities,” and who has shown no interest in the livelihood of quarter of a million NZ kids living in abject poverty. That’s what you call democracy?